The Indian Ocean archipelago of Socotra is often described as an alien-looking paradise on earth. It also happens to be of immense strategic value to the U.S. and Asian nations. More than a year on and the verdict on the long-term implications of the Arab Spring continues to be muddied, from the Maghreb to the Indian Ocean. Yemen was hardly a dark horse pick to suffer unrest as a result of the tide of political change ignited by the collapse of decaying regimes in North Africa. Indeed, conflict had been simmering in the troubled state for decades, fuelled by the ghosts of Yemen’s civil wars, tribal factionalism, piracy, gun running and al-Qaeda. And, despite the recent removal from power of strongman Ali Abdullah Saleh and the election of a new leader, the country continues to teeter on the brink of civil war. But while the headlines are dominated by incidents such as the claim today that the U.S. military has killed 18 al-Qaeda members in four airstrikes in the country, there’s growing interest from international suitors including China, Russia and the United States over a small Yemeni island chain that is often dubbed a paradise and the most alien-looking place on earth. Located in the Indian Ocean just east of the Gulf of Aden, and only 80 kilometers from the outstretched arm of the Somali coast, the idyllic archipelago of Socotra – a newly minted UNESCO site – is an integral part of Yemen’s sovereign territory. Socotra’s relative isolation from the capital of Sana’a has granted it a modest reprieve from the tribal conflicts erupting on the mainland. (Its geographic isolation, interestingly, also means that a third of its plant life is unique to the island). Historically, the archipelago’s geostrategic position ensured that history would lend it many foreign masters, including brief rule under the Portuguese in the 16th century and forced suzerainty by the British in the late 19th century. More recently, Socotra was ruled by the Mahra Sultanate – a quasi-autonomous regime under mandate of the British protectorate. The Sultanate was dissolved in 1967 after Britain determined that its colonial dalliance in Yemen was costing too much royal blood and treasure to merit continued protection. The Yemeni state was subsequently divided between North and South – with Socotra falling under the rule of the latter. While Socotra has largely avoided much of the unrest of the mainland, it remains a strategic asset for the government in Sana’a – regardless of the outcome of the current crisis. 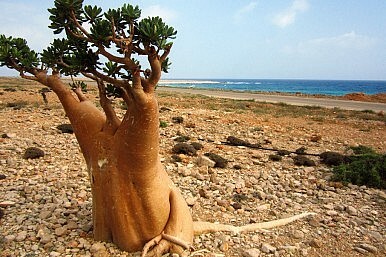 Socotra’s geographic proximity to the Horn of Africa and the Arabian Peninsula has garnered attention from a number of international suitors, and Saleh’s government certainly wasn’t ignorant of Socotra’s value, reportedly holding discussions with senior U.S. officials on enhancing the defensive posture of the archipelago. U.S. interest in Socotra isn’t surprising considering the geostrategic shift of the war on terror from South Asia to the Arabian Peninsula and East Africa. While the death of Osama bin Laden undoubtedly advanced this change, it continues to be nuanced, and has been gradually shifting since 2009 when al-Qaeda in the Arabian Peninsula (AQAP) reignited its campaign with a flurry of attacks on U.S. targets. U.S. intelligence officials have tacitly – and sometimes not particularly discreetly – acknowledged that AQAP has been the primary target of American counterterrorism activities in recent months.